Spring may not be for another month but signs of the season are already hopping up. A set of Marc Jacobs’ silk bunny ears (you may recognize them from the Louis Vuitton x Madonna ads) were spotted at the new MJ Collection Store Opening in Chicago’s Gold Coast. The part goth, part coquette trend is not for the faint of heart but, as seen here, pairing with a classic button down and Chanel-esque tween skirt makes the accessory ever-so-approachable. 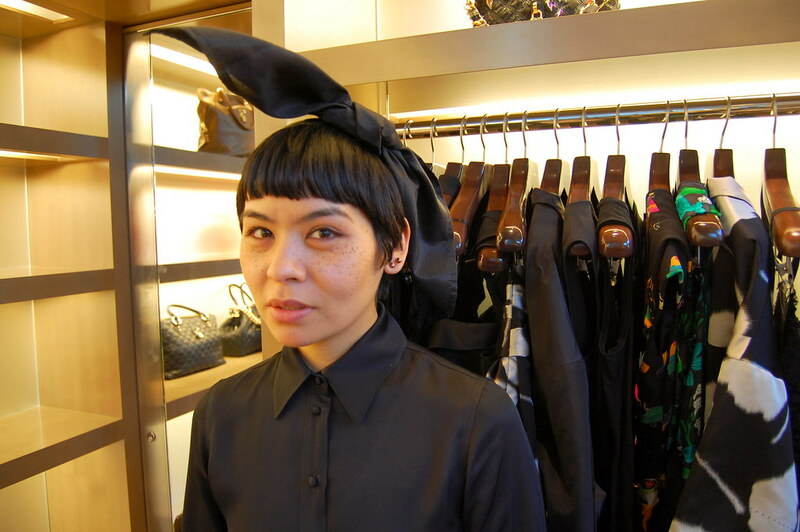 Shop this easy-to-wear bunny ears look now! Previous Post Trendspotting: Top 5 Spring Trends - Lingerie, Sportswear, Hot Shorts + More! Next Post Movies: Lost Rockers- A Real Look Behind the Music. Make it Happen!! !